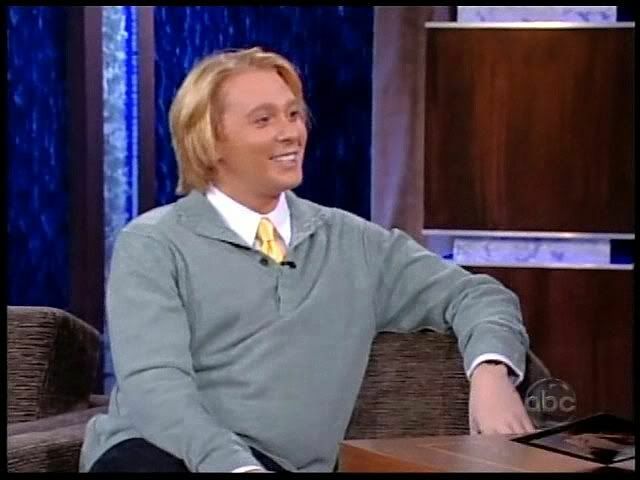 Clay Aiken and Jimmy Kimmel – one of the best comedic teams on TV. The two men are very different, yet they seem to play off each other easily and their timing makes their jokes just that much better. Forty-three year old Kimmel was born in Brooklyn. His mother was of Italian descent and made sure that Jimmy was raised Roman Catholic. He even was an altar boy at his church. Jimmy has been very active in his support of the Italian-American community. He was a founder of the annual LA Feast of San Gennaro, a festival that celebrates Italian culture. The festival raises funds to aid needy children in the community. Maybe Clay and Jimmy aren’t so different after all. Clay has been a guest on Jimmy Kimmel Live 8 times. Each visit has been full of excitement, lots of laughs and some great music. Hopefully Clay will visit with Jimmy again soon. The following are 8 pictures of Clay when he visited Jimmy. It is really fun to see the pictures. They bring back great memories. So…which is your favorite picture? My favorite picture is number 5 but I love them all. 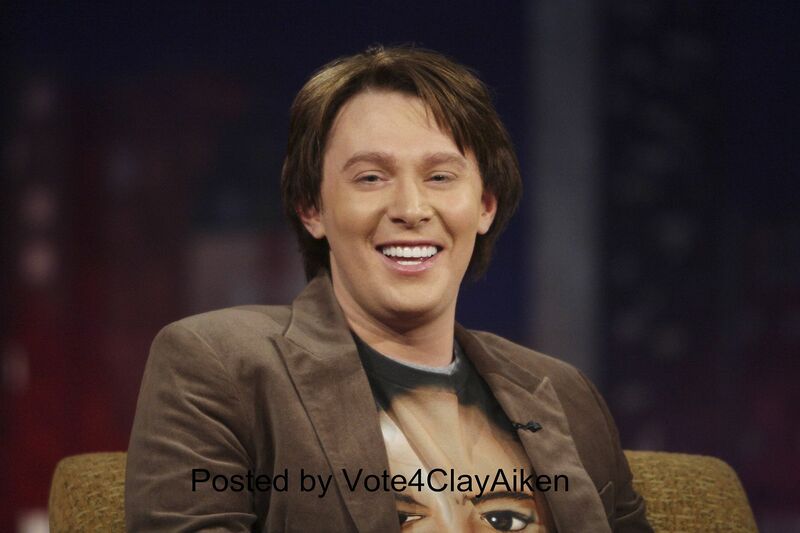 Hope to see Clay on Kimmel again soon. I really hope that Clay visits with Jimmy soon!! I love #1 (well, I actually love them all) but there will always be a soft spot in my heart for that appearance. I vote for #5. 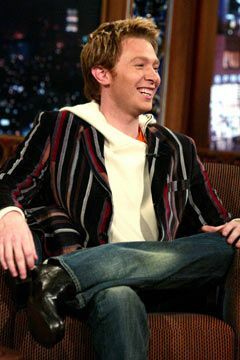 He looked so cute there…and I loved his hair. Clay and Jimmy were so funny together. Let's hope that he will get to be on his show again soon. Did a thorough check of all the photos and chose #8 – the last one as my favorite. Really love that hair color change. I think being a blonde suits Clay well, especially when it's styled nicely. He also looks quite handsome with his bluish grey (depending on the lighting) shirt/sweater and the yellow tie. I love all the pictures but I love Clay’s outfit in #3 and I really like #1 since it was his first appearence on the show :)Clay has the best smile!! 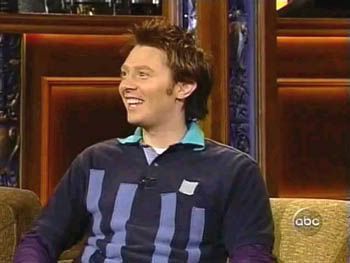 I love 'em all, looks and hair and Jimmy banter, all bring back fun memories and "soft spots", but if I have to choose, it's #2, when my friend got to tell him, live, why we all love him (there's a YT vid of the show, his reactions are so bashful and cute and funny, especially when she compliments his lips, lol), and later he followed up his promo song w/Kyrie (from IT tour), love, LOVE how he sings that song!!!!!! I hope we get to see Climmel "soon" as well; and Cleno, too; hey, maybe next spring for new song??? I like Clay on the horse. That was a fun entrance. #5 Because I had a ticket to the show, stood in line for hours, but unfortunatley, I was too far back in line and the limit was reached before they got to me and all the others who had waited with me. I did get to see him cross Hollywood Blvd. from Virgin Records where he had been signing his CD. 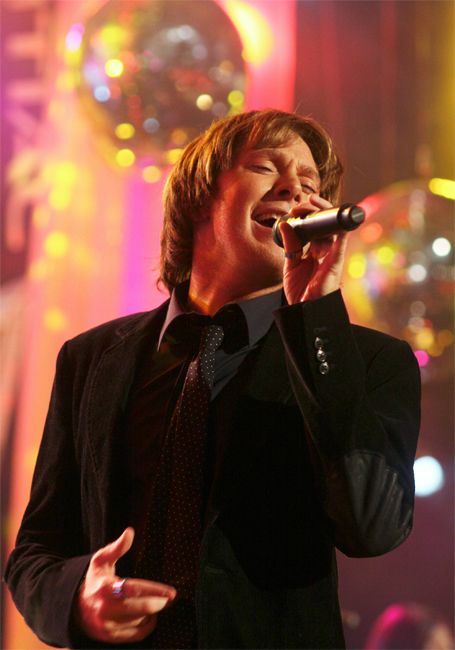 I was very upset, because I had to work the next day and couldn't stay for his outdoor concert after Jimmy's show. I love all the pictures but I love the #1 probably more since it was his first appearence on the show. I hope we get to see him there again soon, maybe for the new song. Error: Error validating access token: Session has expired on Tuesday, 21-Aug-18 16:13:01 PDT. The current time is Saturday, 20-Apr-19 02:04:24 PDT.